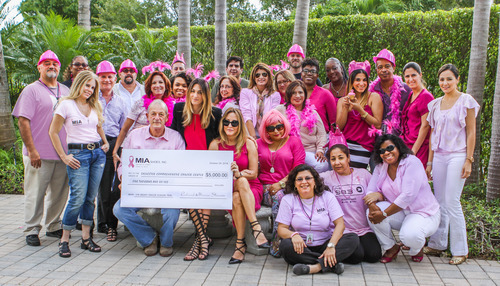 This October we had the opportunity to join two major initiatives in support of Breast Cancer Awareness. Thanks to all of you we were able to raise $5,000 in proceeds from the sale of our Amanda flats for the Sylvester Comprehensive Cancer Center at the University of Miami Miller School of Medicine. The funds will support a clinical trial studying new therapies in Triple Negative Breast Cancer (TNBC), one of the deadliest types of breast cancer. In addition, we had the opportunity to donate 400 pairs of custom Amanda flats featuring the iconic pink ribbon to QVC’s Shoe Sponsor of the Day, raising $20,000 for the Fashion Footwear Charitable Foundation. 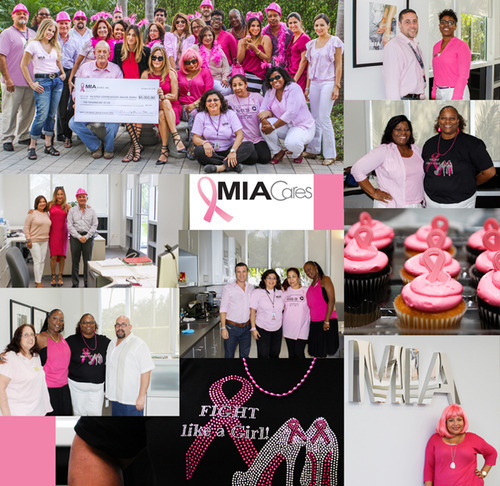 The MIA team wore their favorite shade of pink in recognition of breast cancer month and celebrated the efforts to fight this disease. (Allowed file types: , maximum file size: MB.